This 1 bedroom 1 full bath, with open living and kitchen is just right for downtown living at it's best. Walk into a large room with kitchen and eat up bar area that wraps around the kitchen to your left. Stainless appliances and gas cooktop and lots of counter space. It's open to the living area complete with gas log fireplace and mounted TV, (that remains).From the living room is the wall of windows and sliding commercial grade door to a very large covered patio. 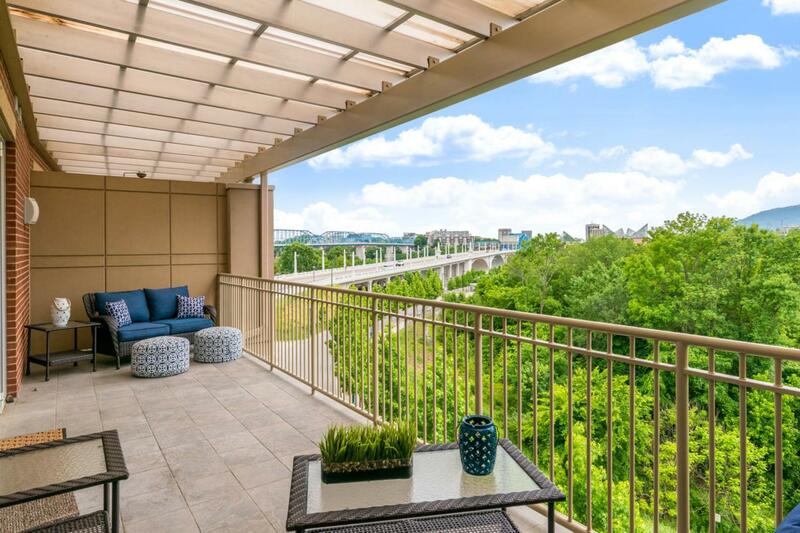 With this condo being on the 4th level the views of the city that include all the bridges and The Tennessee River, are amazing!! Through the living room is a large Master Suite which is also on the patio. The master bath has double vanities and large walk-in closet. Off the kitchen area is also a utility room. The condo comes with all appliances to also include refrigerator, washer & dryer. There is 1 secured covered parking space that conveys with this sale. 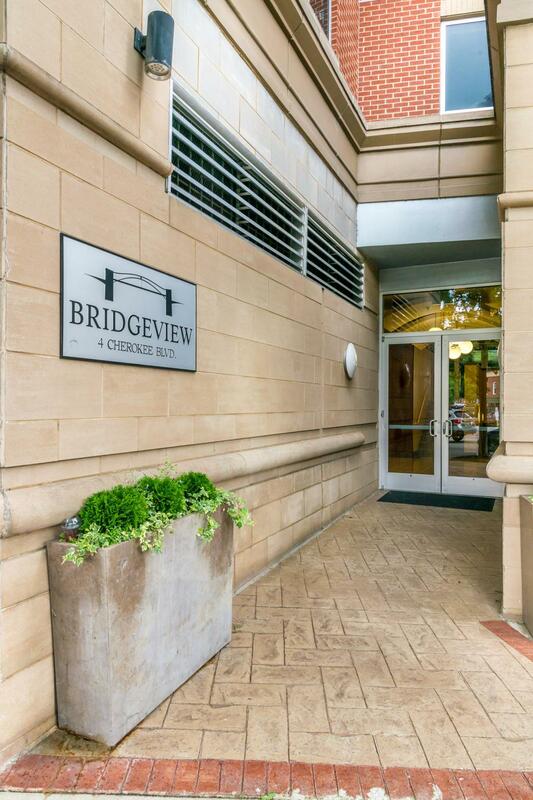 Simplify, park, walk and live at "Location Location Location" of the North Shore, BRIDGEVIEW!